The eLexicography in the 21st Century international conference has been the best show in lexitown since its launch six years ago, driven by the evolution in lexicography to explore the state-of-the-art, apply new models, and open up to new paths and horizons. The e prefix could be superfluous if all lexicography were electronic. 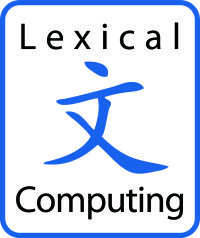 Besides making dictionaries available electronically, digital lexicography involves dictionary writing and corpus query systems, converting resources from print media and creating those for current and next applications, reshaping relations between users and makers, private and public, modelling new presentation forms and standards, interoperating and crosslinking with external resources and other disciplines, and potentially dissolving lexicography into language technology and knowledge systems or artificial intelligence. eLex began at the initiative of Sylviane Granger, who with Magalie Paquot and others organized eLEX2009 as a one-time event, filling a void in lexicography at crossroads while taking care not to rock the boat and undermine the well-established Euralex conferences. However, its success triggered others to follow and prompted Euralex to elexize. On a wider scope, it facilitated the recent formation of the EU-subsidized European Network of e-Lexicography (COST ENeL) in the aim of addressing the changes and challenges in (scholarly) dictionary making and usage. While such European context is at the heart of eLex, this is also a first main attempt to regularly face overall contemporary lexicographic issues beyond continental frontiers or special interests1, thereby extending its global prospective and appeal. Present circumstances also make it more favorable for poor language environments across the world to profit from the Western cream of lexicography in researching, developing and disseminating their own voices2. There is no association of or constitution for these eLexicography biennial conferences: they sprout one by one, on top of each other, through collaborative efforts of individuals reverberating Sylviane’s initial drive with their colleagues, adding each new convener to the previous ones. Iztok Kosem and Simon Krek initiated the second conference in Bled (2011), then stayed on board to help Jelena Kallas with the third in Tallinn (2013), and all three joined the Sketch Engine team for this fourth at Herstmonceux Castle, led by Miloš Jakubíček and Terka Olšanová. This was Adam Kilgarriff’s in-absence conference, conceived by him and celebrating his spirit, including some papers he co-authored and some related to his work, with a tribute to his memory and the announcement of a fund in his name. It was Adam who chose this awesome venue with its lovely grounds for a compact and intensive reunion that was eventually carried out superbly by his friends. The four excellent keynote addresses represented three major topics of present-day lexicography, from past to future, and showcased an overview of the entire conference. The opening was Kori Stamper’s account of the transformations and new life of good old American dictionaries and lexicography at Merriam-Webster, enrooted over a century and a half ago and converging with up-to-date popular culture. Then came two back-to-back talks related to the integration of lexicography in innovative English language learning solutions, by Ted Briscoe about the Cambridge English Write & Improve research project and by Daniel Gorin about the Alphary tool for vocabulary acquisition – both putting more emphasize on the processes and features of their resulting end products and less on the dictionaries behind them or lexicography per se. The concluding plenary took a look into the hereafter, bringing Roberto Navigli’s vision of the machine and crowd-generated multilingual-multilinked-multilexicographic Babel.net, now substantially enhanced by the Bablefy word sense disambiguation. The main body of the conference was devoted to its rich selection of papers touching on numerous aspects of modern lexicography against the background of splendid surroundings and encounters. Altogether there were 46 parallel papers, thirteen posters and seven software demonstrations, as well as pre-conference workshops of the Sketch Engine and Web as Corpus, a tour of the castle, its gardens for your pleasure, the archery and dinner, followed by the fourth ENeL Action meeting, before leaving for another post-eLex blues (quoting Iztok). This all felt to me very specialex, I enjoyed it a lot although I should have suffered from conference fatigue by now  But joking aside, let there be no doubt: it was a great conference whichever way you look at it! Could it be improved? Well, to my taste, it would be good to be able to listen to all the papers, which means they should all be plenary, which however means many fewer could be offered. Were such an option considered, it may be counterbalanced by increasing the number of posters and demos and elevating their status to fuller dynamic interactions between speaker and audience. Such practice is already underway in a big linguistic conference like LREC, which conceives its papers and posters on an equal footing, and could fit well with the intimate and generally homogenous eLex gathering. A refreshing novelty here was a stand-up one-by-one group presentation of one-minute teasers at the start of the poster and software sessions, which worked particularly well in such a fairly small-scale convention. Smallness is a dear charm of eLex and a wonderful asset. It was further reinforced this time by the limited castle capacity that restricted the number of participants to 130 (first-come-first-serve). This helps to constitute a fine merit system that makes it easier for the small guy to excel beyond big establishments, which are then fertilized and inspired to self-reflect, modify and reinvent themselves (or perish), and sometimes become even more forceful than before. It is noteworthy that since its inception in Louvain-la-Neuve, the once-only eLex torch was snatched and rekindled in other smallish locations like Bled and Tallinn, inflamed and rejuvenated by the good will and passion of determined individuals and local supporters, maintaining a lean, modest and resourceful character, as part of decentralizing the lexicographic craft while drawing worldwide attention. The conference at Herstmonceux Castle was the first major lexicography event held in the UK3 since the groundbreaking Exeter conference, which was organized by Reinhard Hartmann in 1983 and which laid the foundation for the European Association for Lexicography and its biennial Euralex conferences. It was not clear yet whether and where another eLex conference will take place, but this anarchic-like and flexible happening clearly continues to grow a robust body in the shape of its accumulating organizers. It resembles a revolutionary movement that stems from the margins to become new mainstream, and might thus be doomed to lose its energy to the same extent as it succeeds, since prosperity and an overwhelming acceptance of the concepts at its origin could make its further independent existence redundant. Still, eLex is young, evolving and aware of the traps of bourgeoisie’ing and how to avoid such fate, and it is still vibrant with ideas about how to make each conference attain higher peaks than the last one. This conference set the stage for brainstorming a sister idea that has so far failed to materialize. Representatives of Afrilex, Asialex and Euralex assembled with the eLex organizers to discuss the creation of a global constellation that would share know-how and welcome the participation of any continental, regional, local, topical or other sort of association, network or whatever of lexicography. Why on earth – in our age of globalization, with languages crossing borders more than ever before and nearly every other professional community holding an internationally-based meeting – should lexicography more than so many others stay isolated and enframed within geographical or other boundaries? Perhaps this is related to the traditionally slow progress of dictionaries, which are still most often recognized by laypeople according to (old) brand names, or on the other hand, to lexicography actually booming with too many events – as Andrea Abel put it, she already meets some of us more than her family members… We raised ideas about co-sponsoring a Globalex workshop at LREC 2016, holding Globalex conferences by each association alternately, and putting together semi-virtual Globalex video conferences worldwide. Time will tell. For the time being, eLex is the closest there is to Globalex. 1 For example, ISHLL conferences, established at the University of Leicester in 2002, revolve around the topic of historical lexicography and lexicology. 2 As with, for example, the SeLA project or OGL initiative.